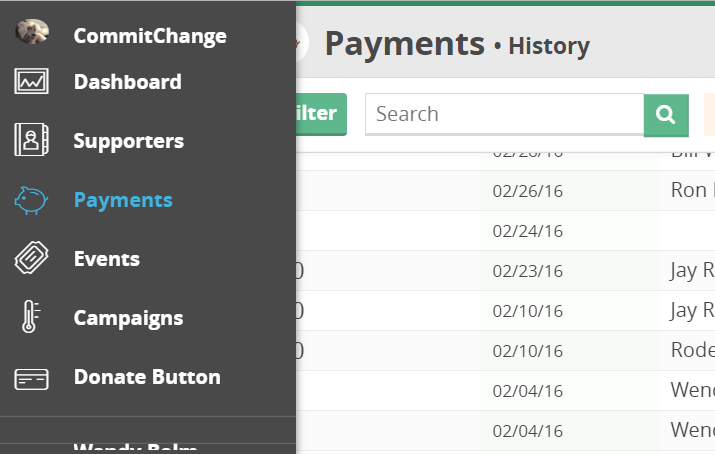 In the Transactions Dashboard (accessed using the piggy bank icon in the Dashboard Menu), CommitChange users have access to nuanced reporting. Use the filtering features and the search bar to better hone your data. 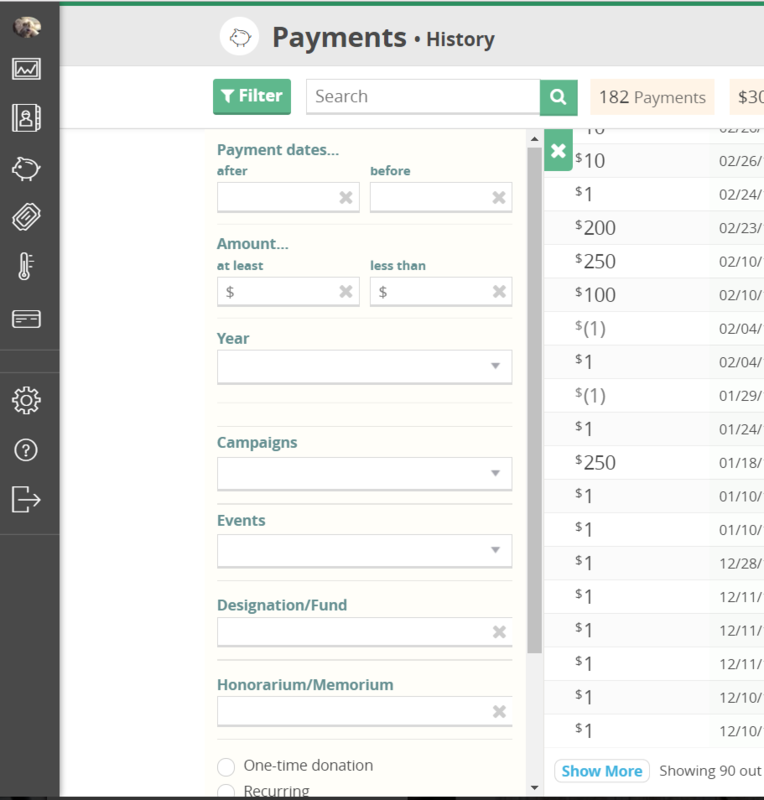 Set date and donation amount parameters or search by name or keyword (campaign name, event name, etc.). Click ‘Export’ to create a .csv file of your report.